Projections and value are two major parts of constructing a winning daily fantasy football lineup. Being able to accurately predict how many points players are expected to score on a week-to-week basis is the name of the game and adapting that to the player salaries allows you to create the best roster possible. Projections are the lifeblood of NFL daily fantasy. Compared to other sports, the NFL simply has more attention on each and every game and therefore has more people trying to accurately project the outcome and statistics of games thanks to sports betting and the phenomenon that fantasy football has become. With the NFL, outside of the Thursday games that are usually best avoided due to the short week players and coaches are working on, projections are able to be finely tuned with 6-7 days of adjustments thanks to recap data, film and injury information that is released to the public in the news cycle. The more and more accurate projections become, the higher the scores will trend in fantasy sports. There are generally two main kinds of projections you'll find out there. The most common are projections that take very few risks and just aim to provide a nice baseline for what to expect that week from a player. These are usually heavily derived from season-long projections that will generally be more accurate in the long-run than especially accurate on a week-to-week basis. The second kind are projections that take many more risks and adapt their projections even more to the individual week's factors. While both projection methods can be highly effective, the biggest edge is to know what you're looking at. Don't just blindly trust a single source without scouring the knowledge of others and getting a good feel for what the projection is going to be industry-wide. There are many ways different projections and different types of projections can be applied to your rosters as well. The most commonly used way to get great projections is to average a few trusted sources. Simply taking your two favorites and averaging them together is a quick and easy way to remove some of the personal or site-specific statistical bias from them. A more complex way is to start with something like that, but using three or four sources and as the season moves on, figure out which sources have correlated better and adjust the amount you use each source. Say you started with four sources and averaged equally at 25% of the total projection, you could easily slide those percentages around based on which sources were performing most accurately. You may even get to the point of removing one at some point. Different projection sources will do better early in the season, especially ones that base their projections more on their original season-long data. Sources that project based off of team matchup and tendency will sometimes struggle at the outset of a new season due to the lack of accurate data available to them to use in their projections. Using data from the previous season is always tough in the NFL with the amount of player turnover that happens due to non-guaranteed contracts and how heavily involved draft picks and player development are from year-to-year, not to mention the outlandish amount of injuries that occur in the NFL. However, these projections are the ones that improve greatly as the season goes on and more data becomes available because they are more open and quicker to adapt than sites that derive their projections from season long numbers. One excellent way to approach this is to identify the sites that use matchup statistics and other factors to more outlandishly project players and use those projections for large field-tournaments. In football, as much or more than any other sport, you need to find and project outlier games to win tournaments. Projections that heavily value or even overvalue matchup factors are great at identifying these potential breakout plays and can come in very handy in lineup construction whether taken on their own or combined with other projections. Value can be applied to daily fantasy sports in many ways. When people speak about value, it's often about the cheapest players on the board available for drafting. While this is the truest definition of a value play, value should mean so much more to a daily fantasy sports player. You can find value from top to bottom in the player pool. The simplest way to calculate a player's value in comparison with other players is to take his salary and divide it by his projected points on a given site. This will give you a comparable number for all players to see who is providing the most projected points for their salary. This is a great way to quickly compare players, but as mentioned above, it's only as good as the projections you are using. 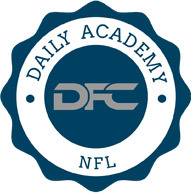 At Daily Fantasy Cafe, we provide a metric called Cafe Value, which takes into account more than just the standard points per dollar ranking. It also values the position the player is at and the site you are playing on. 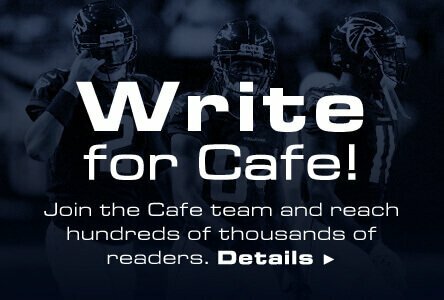 Each daily fantasy sports site offers it's own roster makeup that can range differently in how many positions are needed to fill out the roster and what those positions are. Adapting to the roster you are creating can be just as valuable as adapting your projections to the the teams each player is playing that given week.